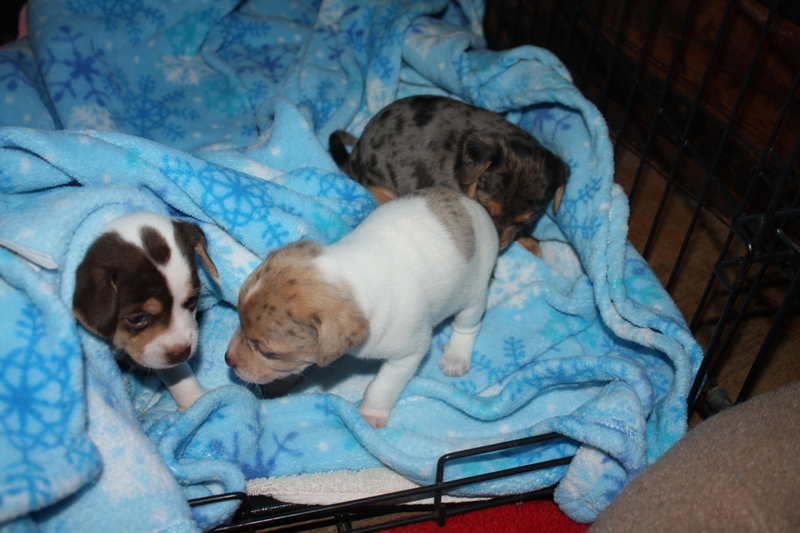 Clara Belle, Lucy and Ethel at 4 weeks old! | One Dog More! This entry was posted in News by onedogmore. Bookmark the permalink.